A retail management solution that enables your business to perform. We are built for the independent specialty retail business owner. Our software enables your business to create an independent relationship that is built for success. Our feature rich software enables you to manage your business basis, through real time inventory management software, a customization point of sale, data at your fingertips, and a full suite of solutions to offer a seamless, anytime anywhere experience to your customers, this robust software sets the stage for you to make it your own: customize your solutions to give and amazing customer performance. The behind the scenes activities ensure that the front of house runs smoothly. Our inventory management system includes detailed merchandise records, flexible pricing options and in depth reporting to improve the flow of your business. Our system lets you group items by category and subcategory as well as assign multiple vendors, units, and bar codes to each item, 20 custom fields let you track the information that’s important to you. Managing and pricing your inventory correctly saves you time and makes your business profitable. Assign up to 6 prices for each item. Price by store or by color/size with location-specific and SKU-specific pricing. Customized reports and item analysis provide accurate, informative information that make you a stronger buyer. 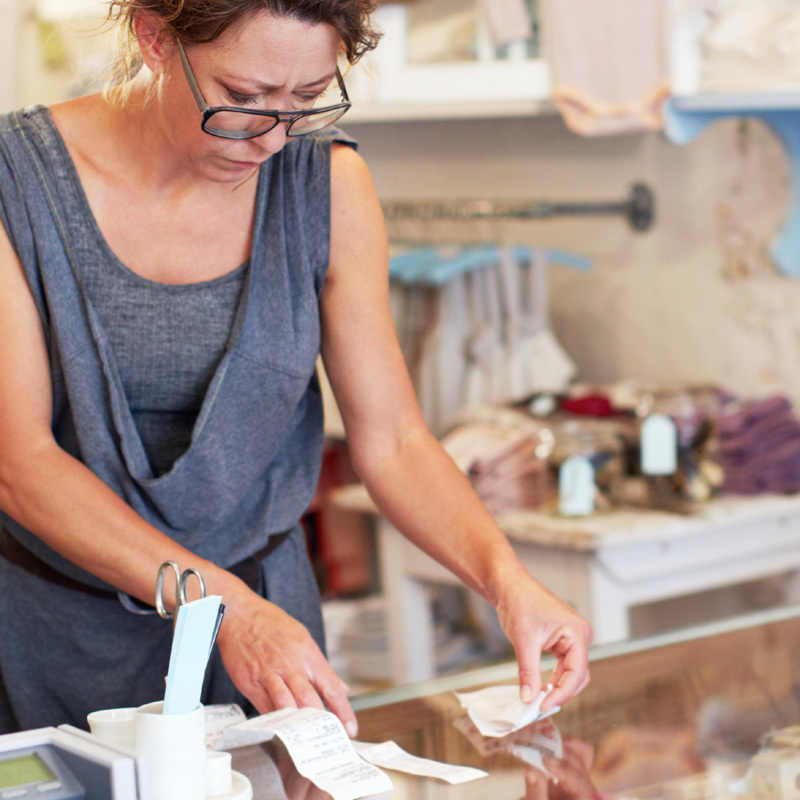 Smart inventory decisions and reports can save you money by improving your bottom line. 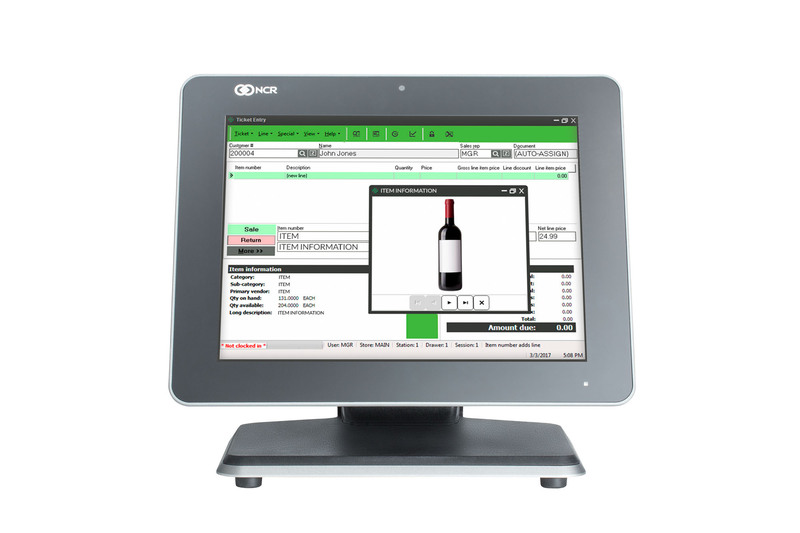 Our configurable touchscreen allows you to tailor our POS to fit your business, minimize errors and maximize profits. With our configurable features, NCR Counterpoint can easily handle sales, returns, orders and layaways, in turn, maximize profits. 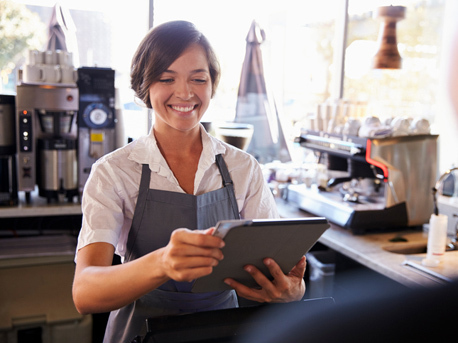 NCR Counterpoint includes robust inventory management, touchscreen point-of-sale, built-in customer loyalty, automated purchasing, and configurable reporting capabilities. Keep your lines flowing with our 2 second credit card and deck authorizations. Our intutive touchscreen point of sale units allows for quick checkouts and simple traninng for your staff. Convert any sale, order, or layaway into a quote or put on hold for late completion. Holds and quotes can be recalled by number, date, customer name item, or any other related value. Create customer loyalty by allowing frequent customers to earn points for each dollar spent or each item purchased. They can then spend their earned points at the point-of-sale, just like any other payment type. The in-store customer experience has become a key focus for retailers. Each point in a shopper’s journey throughout your store is important in building loyalty for your retail brand. 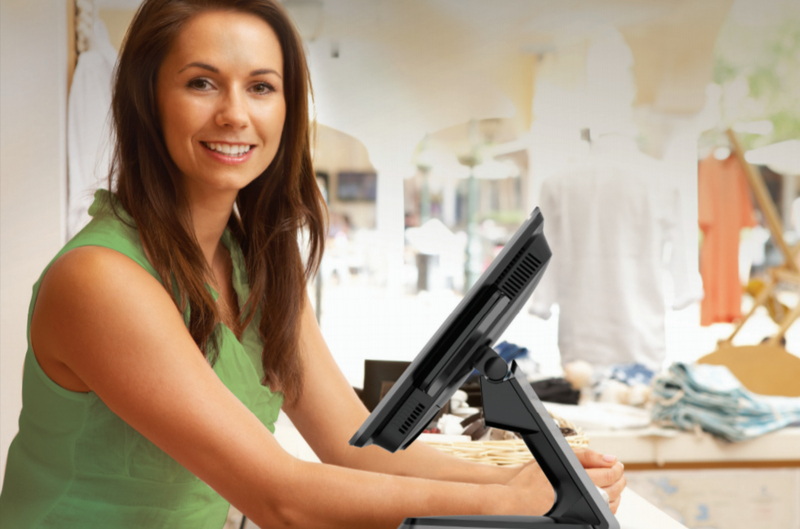 The stylish all-in-one RealPOS XR5 delivers the performance you need in a versatile design that blends seamlessly into any retail environment. The NCR RealPOS XR7 offers the sophisticated elegance of consumer grade technology, but with the robustness and reliability of industrial grade quality—giving you the best of both worlds. Our ethernet receipt printer is designed for use in food service and retail environments. It offers more speed, features, and reliability than ever before. Prints 50% faster than standard receipt printers and is the first in the industry to offer 16 levels of grayscale to ensure clear, crisp graphics. Print speed is up to 300 mm/second. The standard auto cutter makes clean, efficient receipt cuts. Printer includes drop-in paper loading. The preferred barcode scanner accommodates both 1D and 2D barcodes. User never needs to take time to align the barcode with the scanner or pause between scans. The retail barcode scanner can scan barcodes printed on paper labels or on mobile phone displays. Our payment terminal represents a unique combination of security and performance, leveraging the multimedia-enabled Telium 2 platform. Much more than just a payment device, it enables retailers to bring real value to their businesses and customers. 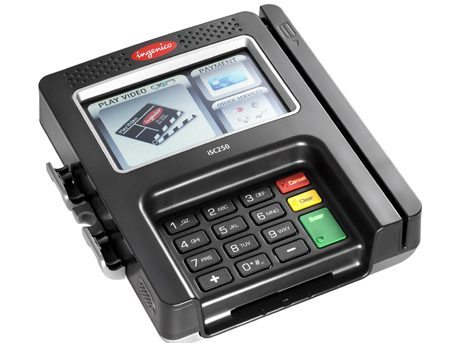 The payment terminal when paired with NCR Counterpoint and NCR Secure Pay, provides point-to-point encryption (P2PE) of credit and debit card transactions. 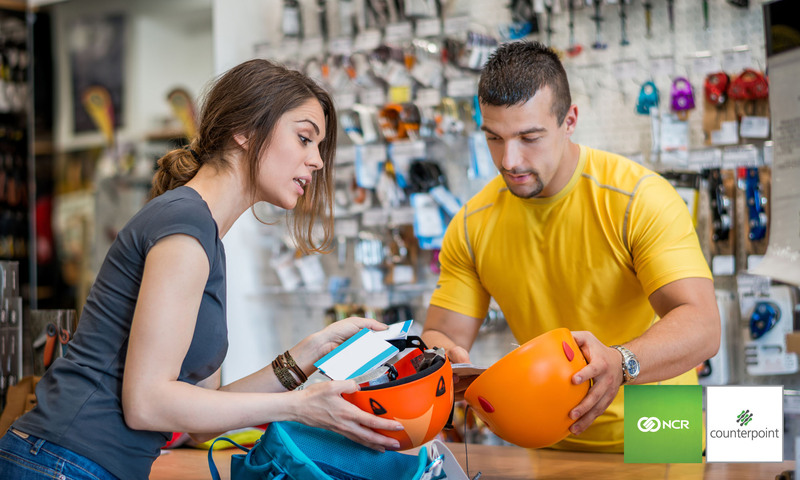 With multiple security layers, NCR Secure Pay minimizes your risk for a credit card security breach. Our software’s body guard ensures that all personal and transactional information is kept safe. From the moment a card is swiped through after the transaction is complete, our secure payment solutions enable and protect your business. Choose the alerts that are most important to you and set up parameters that fit with your business. Pick which alerts you want to receive and which alerts you want your managers to receive. NCR Smarts Alerts is your operation’s eyes and ears. Now you can be at all places at once. securing sensitive information during transmission. Using Point-to-Point Encryption, NCR Secure Pay encrypts credit card data from the moment the card is swiped by your customer. This process ensures that sensitive card information is encrypted throughout its lifecycle in your environment and minimizes the risk of an unauthorized user scraping that credit card data from database memory. the NCR Secure Pay merchant portal. Be instantly alerted to potentially fraudulent situations, minimizing harm to your business. Receive daily sales figures via text or email. Review key performance indicators anytime, anywhere, maintaining control of your business while you are offsite. Monitor store operations through key alerts including low inventory warnings, current cash on hand.notifications, alerts if no one has signed in when a store opens, and notifications of large sales or refunds. NCR Customer Connect is a powerful integrated email marketing system helping you grow your business by driving sales. Our integrated, automated email marketing system enables you to use customer data and preferences to send customers personalized offers after their shopping experience. Welcome new customers, send birthday offers, or tell customers you miss them. Set up the campaign one time and going forward it will be sent out automatically. With shared information, adding new customers or updating existing customer information at the point of sale will automatically update your email lists. Build your business with a website from CPShop. CPShop has the necessary tools to create your website and deploy it quickly, easily, and affordably. With the ability to integrated with Counterpoint and list of features, your company can start producing online revenue from your website right away. Run your business from the sales floor, as you help customers find products and ring up sales right on the spot. Mobility also means you can sell your products wherever your customers are gathering: events, sidewalk sales, and trade shows. Mainspring offers both iOS and Windows compatible mobile solutions for your business. CPMobile brings mobility to your business. 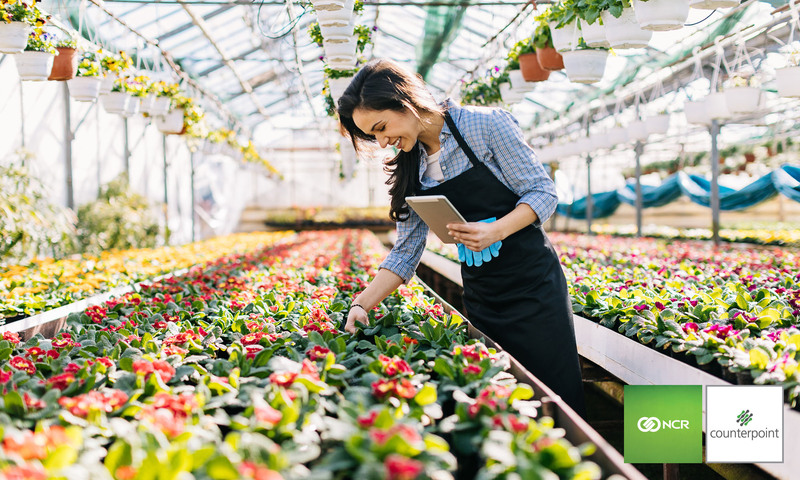 Compatible with iOS operating systems, CPMobile is the perfect solution for processing sales outside of your store, line-busting, and looking up inventory while on the sales floor. With an Inventory Module, CPMobile provides the functionality to conduct inventory from your phone. NCR Counterpoint Mobile is a multi-function device. In addition to line busting, you can complete physical counts, adjustments, and receivings. Use the item lookup functionality to check inventory counts instantly. Your sales people will never have to go to the storage room to check stock again. 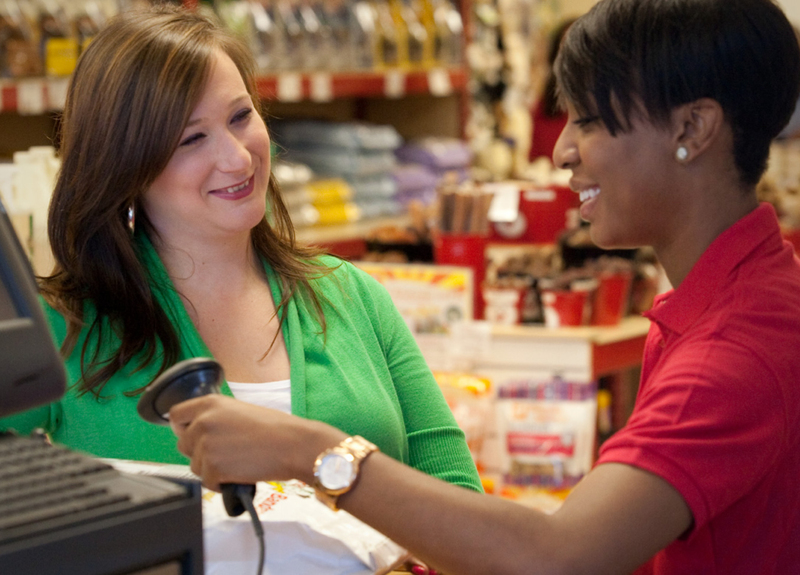 Turn your cashiers into retail sales consultants, providing targeted assistance when and where customers need it. Accelerate the checkout process by taking transactions directly to customers, reducing long lines at checkout and improving the shopping experience. Mainspring exclusively offers a Windows compatible mobile solution. Created by our developers, this mobile solution provides more functionality, yet doesn’t lose the mobility your business is looking for. Mainspring Mobile provides full functionality of NCR Counterpoint. With this solution, you will have every feature on your mobile device as you would at the register. Enable your mobile team to enter orders from anywhere in the store, provide the ability to receive product at any location, and check inventory without having to leave the sales floor. Allow clerks to engage with customers more fully by answering questions and providing faster sales support.